That difficult second festival… night one! 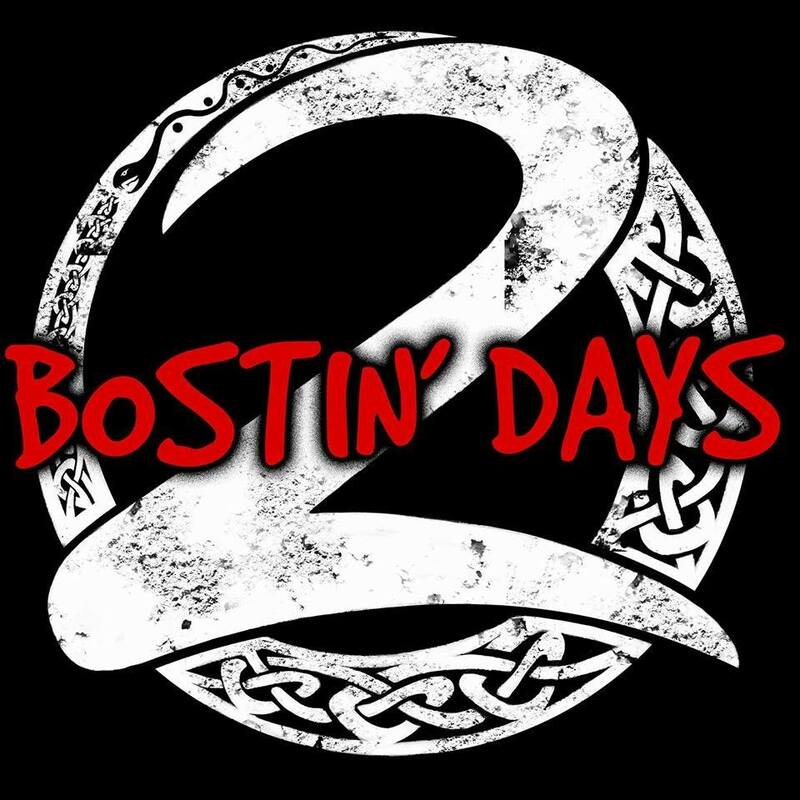 I’m sure you know the story behind Bostin’ Days – in a nutshell, an accident happens at Beautiful Days… it’s sorted out thanks to the local air ambulance. Addie Burns has a crazy idea. 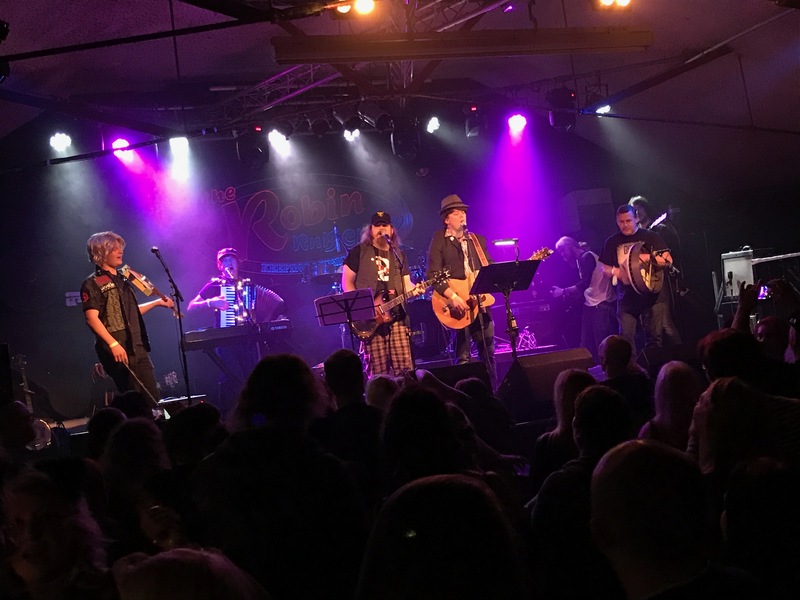 It’s the kind of idea that people probably have all the time – but in this case, he made it happen – get a fabulous array of musicians to record a cover of a Levellers song and release it as a compilation, then have an associated event by the said same artists. That album is still a regular feature on my playlists – and last year’s event was superb. How do you follow up something like that? 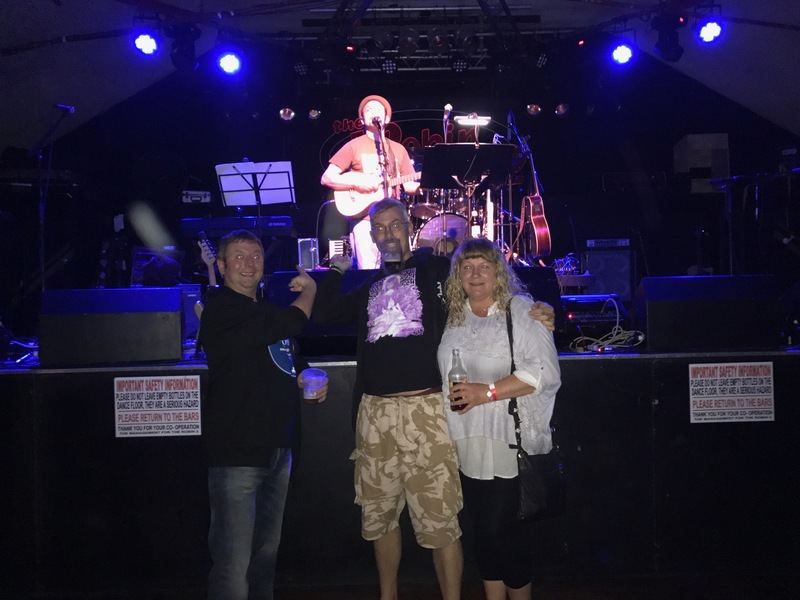 Well, they bloody well did it – I’ve just got back from a fabulous weekend, and after sorting out assorted domestic stuff now I have the unenviable task of trying to put it in to words! Unlike last year I was able to make the Friday night too, so arrived at the hotel in Wolverhampton early afternoon in time for a bit of a chill out. Ella and her Mum would be arriving later – so after a pleasant afternoon with a book (rock and roll, huh?) 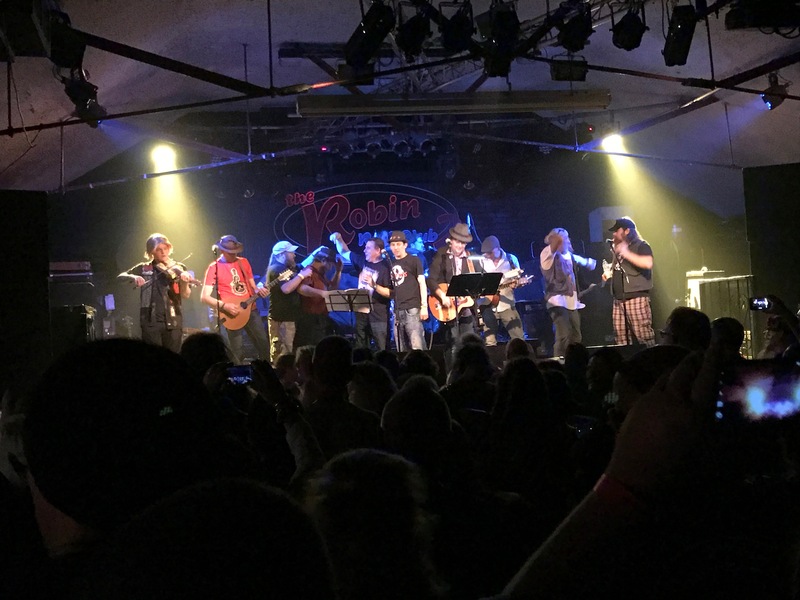 – I hopped in a taxi to The Robin 2 in Bilston with Mark and Amanda. I’d booked it using an app, and pre-paid for it – which confused my journey companions when I thanked the driver and got out without paying, as they thought! Haha! The venue wasn’t open yet, but the attached bar was so we headed in there and got ourselves some beers. Once the venue was open we headed inside – what a great spot. Dark and dingy, a side bar – a second stage set up near there and then the main stage, plenty of seating to the side and near the back.. the drinks were very reasonably priced, the food was positively cheap and decent too – and both arrived really quickly too by super-efficient bar staff. I thought they’d get swamped once people arrived in number, but they never did. Will definitely be looking for an excuse to revisit! 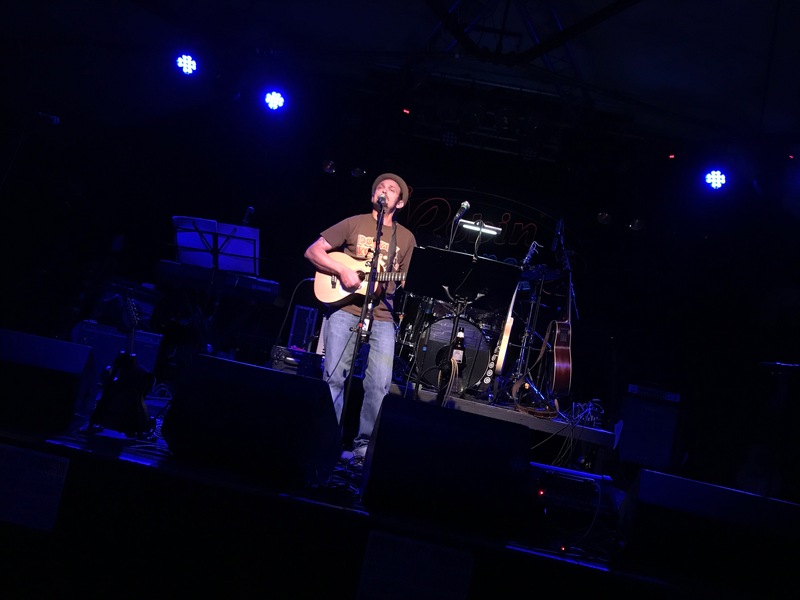 Anyway… the first music on offer was from Bart, performing as The Star Botherer for the evening in the absence of Dave and Brad who couldn’t make it. 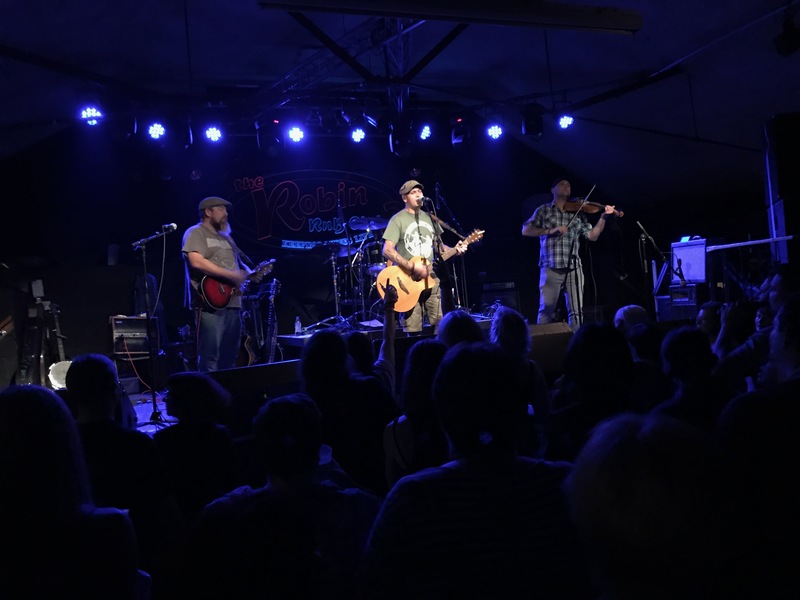 Though he’d never believe you if you told him, Bart is an engaging solo performer – he soon had a sizeable crowd gathered at the front of the main stage. He kicked in with Just Around The Corner and then My National Trust. Plenty of singing along from the off, a great way to start proceedings. Ringing In Sick is a real grower by now – I hope talk of a Star Botherers album is true as I’m sure it would be one that makes an appearance! Star Wars Bride came with the request for the crowd to fill in Dave’s vocal bits, which was taken up with much gusto, then another newish song in My Guitar – apparently inspired by a conversation with Sarah of Purrple Peeple Eater fame, and finished up with the inevitable Bad Guys – cracking set, really enjoyable. 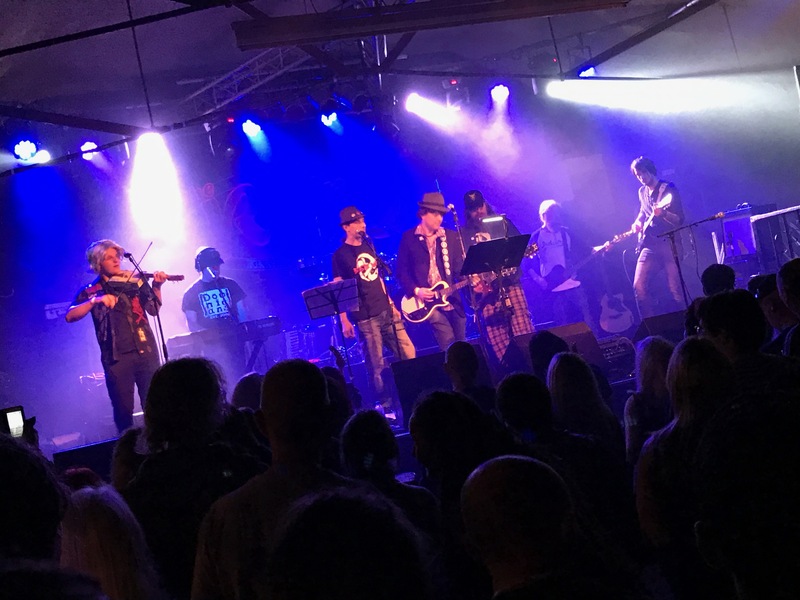 Next up was an alternative festival supergroup of sorts – The Black Tar Rivers Boozy Big Band comprised a mash up of The Bar-Steward Sons of Val Doonican, The Sweetchunks Band and a raft of guest appearances. Scott had donned a Mark Chadwickish hat, Stuart in a baseball gap had a hint of Simon about him too – lovely little bits of attention to detail. I know Scott had been worrying as the assorted members had been rehearsing separated by hundreds of miles – he needn’t have done! 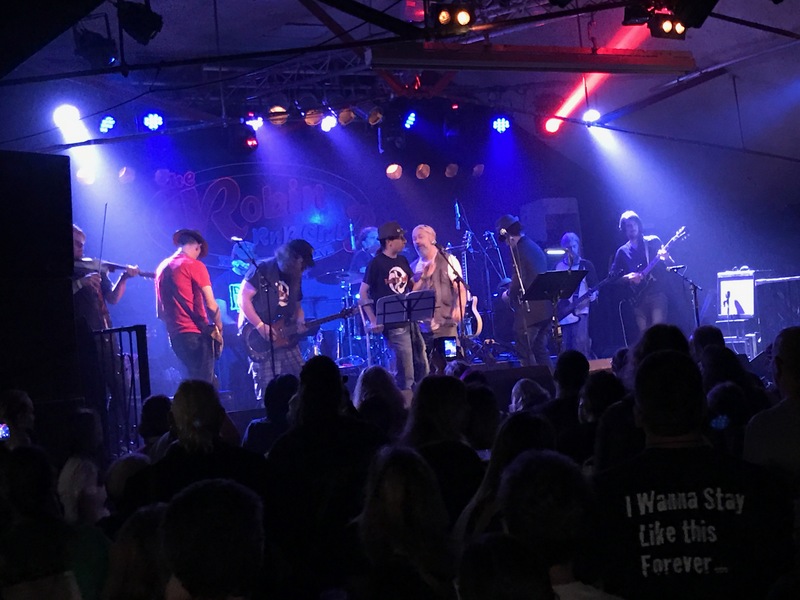 They entered the stage to dramatic intro music and kicked straight into One Way – the intent being to play Levelling The Land from start to finish. 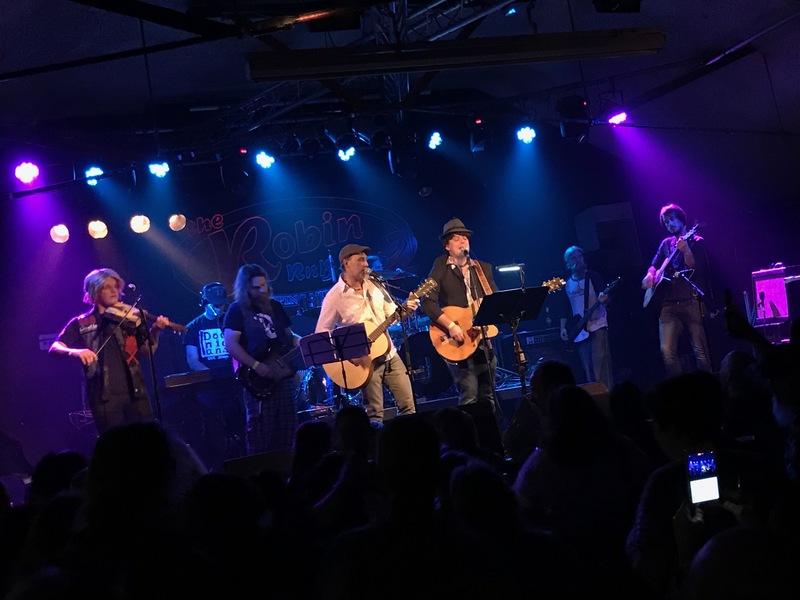 Jonny Wallis was the first guest performer to come on to sing The Game, then Euan from Bleeding Hearts was on to play mandolin for Fifteen Years – Alan Doonican taking up vocal duties, coming in early for my money – but the musicians took it in their stride and got it on track seamlessly. Folk The System‘s Maty was on to use his bodhran for The Boatman – Stuart picked up the vocals for this, and added a verse about being Brian Blessed if he could choose the life he pleased. Ha! The ever-changing line-up made another adjustment, FTS’ singer Pil was up for vocal duties for Liberty – perfectly suited to his rasping vocal style. Then Paul Hallam from Shanks’ Pony entered the stage for Far From Home. A star-studded cast or what? Hats off to everyone involved in this spin-off of the project, it was rivetting. I really hope someone was recording it. Brian Stone was next up (along with Jonny again) for Sell Out, then Euan returned on mandolin duties for The Road. Björn picked up vocal duties for Riverflow before Doozer McDooze brought to album proper to a close with a rousing rendition of The Battle of the Beanfield including overlaid recordings from the TV coverage of the atrocity adding weight to an already scathing piece of music. An encore was obviously in order and demanded loudly. 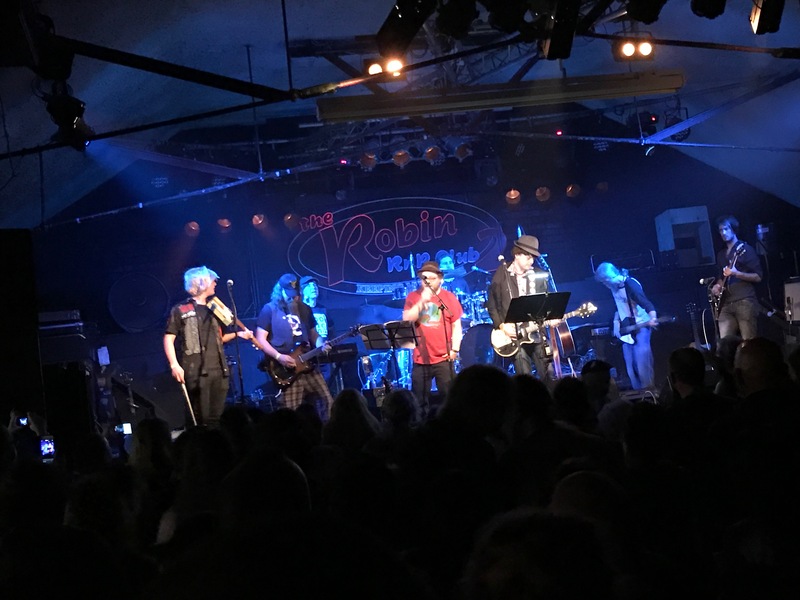 Paul was back on stage as they kicked in to Truth Is before pretty much everyone was back on stage for a raucous rendition of The Recruiting Sergeant (including Addie who was involved in some kind of bizarre hat-swapping routine with assorted folk). A truly memorable set that will live long in the memory. Dare I say it, even with Ferocious Dog acoustic to follow, I’d say that this deserved to be the ‘headline’ act of the evening. I’m sorry if I missed any of the ebb-and-flow of the performers in the set! That said, of course we had Ferocious Dog to look forward to which is never a bad thing, particularly as their touring commitments meant they couldn’t play last year’s event which I know frustrated them (to be fair, it’s the same for music watchers too with the profligate choice of places we can be on any given weekend!). I love watching acoustic sets – a little less frenetic than a full on gig, whilst I love a good mosh tear up as much as anyone, it’s nice to sit back and appreciate the music too on occasion. Raggle Taggle Gypsy opened up the set and then On The Rocks, it was nice to hear some deviation from a more typical set list. Quiet Paddy, Criminal Justice and then the less-often heard Blind Leading The Blind. Unconditional was safe for swearing, one of the few drawbacks of the venue for this event was no flexibility on letting kids in, then it was Too Late. In the absence of Dean a few folk had started making noises about surfing, I really wasn’t arsed about doing it so engineered myself to be the board. Brian was the unlucky person to catch my eye once horizontal – having seen him do it before, I know he’s good at it – and he did a great job! Ruby Bridges loses none of its poignancy stripped back to acoustic, and another treat was hearing Mairi’s Wedding Part III. A slowed up version of Gallows Justice brought a new side to what is normally obviously a fast-pace opener for Ferocious Dog gigs! Whilst we know Dan has a real aversion to playing covers now FD have such a wealth of their own material, it was kinda necessary on this occasion! They chose Julie which was a surprise to me at least – it was beautifully done though, although I couldn’t help but smile at Ellis mooching around trying to find something to do with himself! They followed it up with Burford Stomp which I loved, really reminscent for me of the earliest FD gigs I went to when the mix between original songs and cover versions was probably more like fifty:fifty – what a long way they’ve come in those five and a bit years, eh? 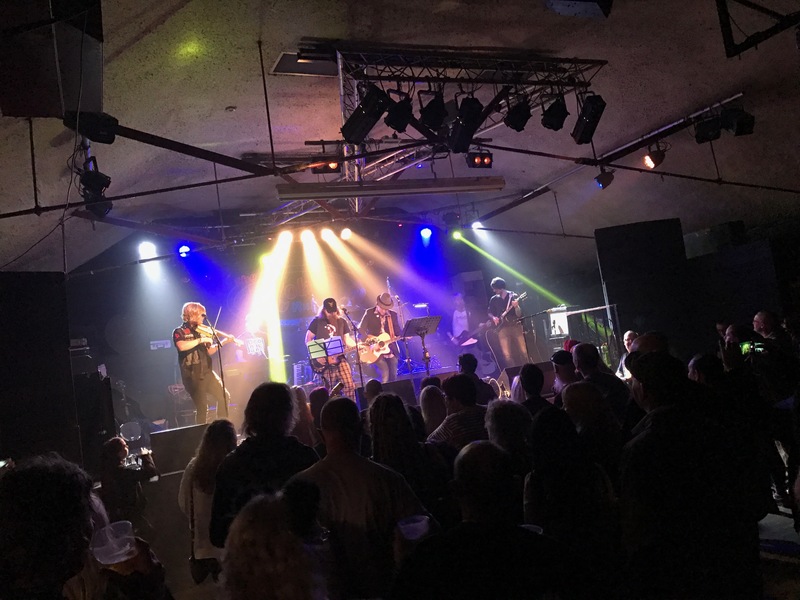 An awesome set finished up with Lyla, Marikana Massacre, Freethinker and finally Mairi’s Wedding Part II – awesome stuff. By the time we’d goodbyed our way around the room there was time enough for us to nip outside for a cheeky kebab at the takeaway outside the venue whilst getting a taxi back to the hotel – by now Ella and Becki safely on the premises having arrived part way through the Black Tar Rivers’ set. An amazing start (frankly, this evening alone wasn’t far off being worth the ticket price), for what was to follow.